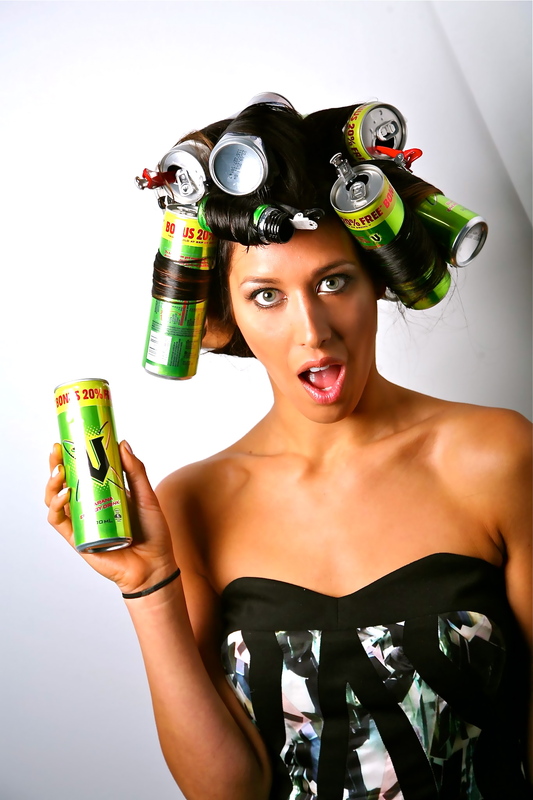 SUGAR FREE… IS IT REALLY THE BETTER OPTION? My clever little sister Georgia wrote this article. It’s really worth a read! ASPARTAMA accounts for over 75% of the diverse reactions to food additives! Sugar free and diet products seem to be the better option these days. They have fewer calories and are known as being the healthier alternative. Diet coke, Pepsi Max, sugar free gum and sugar free lollies are all products that use genetically modified sweeteners. They all have the same sweet flavour as sugar but with half the calories. It almost sounds to good to be true, well I’m afraid in this case it is. Sugar free food comes form a chemical called Aspartame. This chemical is harmful when it reaches a temperature of 30 degrees C°, the wood alcohol in aspartame converts to formaldehyde and then to formic acid, which inturn causes metabolic acidosis. Formic acid is the poison found in the sting of fire ants. Considering our natural body temperature is 37 degrees C° this chemical will turn into a poison that will harm you. No matter how much you have of the chemical it is enough to cause a reaction. Once your body has ingested an unknown substance it wants to expel the harmful chemical from your body, inturn causes a reaction. Studies show that over 75% of reactions from food additives where products that had aspartame as an ingredient. There have been 90 different document symptoms that have been caused by aspartame. The most common are headaches/migraines, dizziness, nausea, numbness, weight gain, memory loss, diabetes, vision problems and so on. You’re probably wondering about how aspartame causes weight gain, however formaldehyde stores in the fat cells of your body, particularly in the hips and thighs. Dr. Roberts an American specialist did a series of studies on over weight people who have a fairly balanced diet but are still suffering with weight issues. They had 30 days with no sugar free foods such as diet coke and yoghurt. On average the group of people lost 19pounds (8.64kg) over the trial period. They no longer suffered from aspartame symptoms and were a much healthier weight. There have been many studies on sugar free foods and their harmful reactions to humans. So many people are addicted to foods that have aspartame in them. Aspartame has a toxic chemical that changes the brain’s chemistry, even causing seizures. This chemical changes the dopamine level in the brain. This is why aspartame is extremely poisonous. It is classed in the same group as Cyanide, arsenic and formaldehyde. 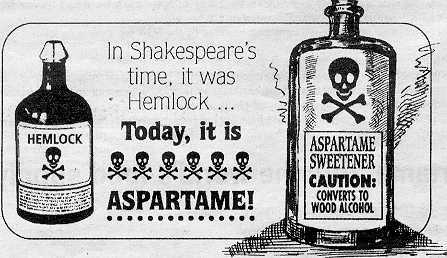 Aspartame/Formaldehyde the quiet killer. THINK before you drink!